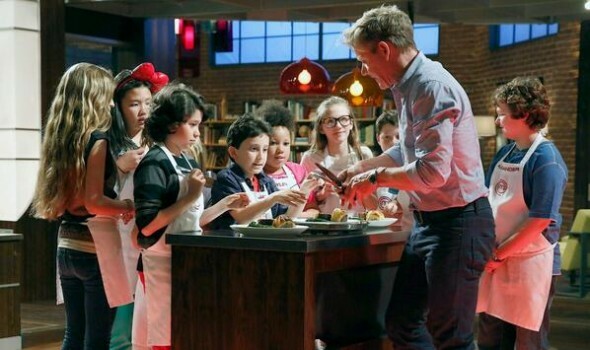 FOX has renewed MasterChef Junior for a fourth season. The second season was up about 20% when compared to the first cycle. The third season got off to a good start last week. In addition, it’s been announced that expert pastry chef Christina Tosi will replace departing judge Joe Bastianich on both MasterChef and MasterChef Junior. Christina Tosi is the chef, owner and founder of Milk Bar, the New York City-based dessert branch of the Momofuku restaurant group. The creator of popular items, including cereal milk(TM) ice cream, compost cookies(R) and crack pie(R), Tosi got her start helping Momofuku Ko earn two stars from the Michelin Guide and Momofuku Ss�m jump onto Restaurant magazine’s Top 100 Restaurants in the World list. She is the 2012 recipient of the James Beard Rising Star Chef Award and a finalist for the 2014 James Beard Outstanding Pastry Chef Award. There are six Milk Bar locations in New York and one in Toronto, with another opening in Washington, D.C. this year. Tosi also teaches classes at her Williamsburg production kitchen and has her own line of baking mixes, as well as a charitable line of “fashionably wholesome” cookies with Karlie Kloss, called Karlie’s Kookies(TM). What do you think? Do you like MasterChef Junior? Is it as good as or better than the adult version? The most delightful of all the cooking shows! These kids are stupendous, and time isn’t wasted on showcasing nastiness. Season 2 was the first time we watched this show. We are fans of Gordon Ramsey. We will continue to watch as long as Fox runs its.